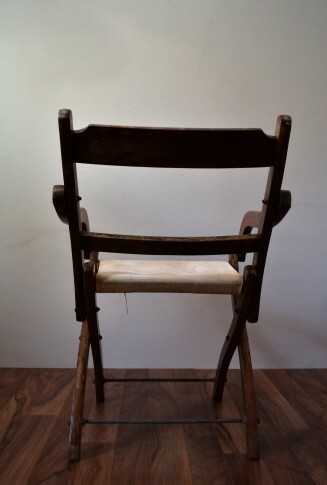 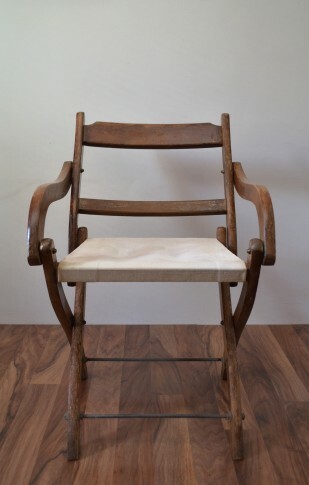 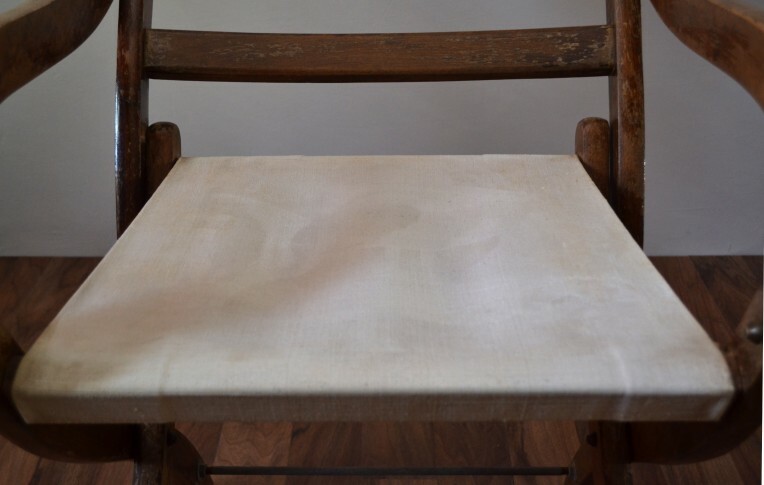 Large Solid Victorian officers/campaign folding chair with original woven textile seat. 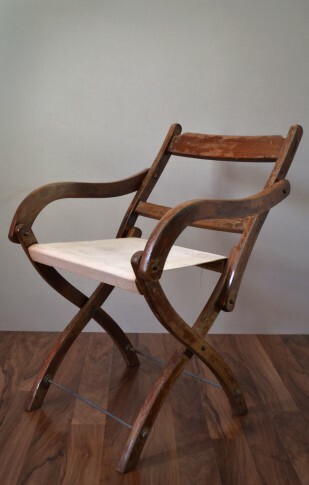 A Statement piece with it’s relaxed position, curved design and patina. 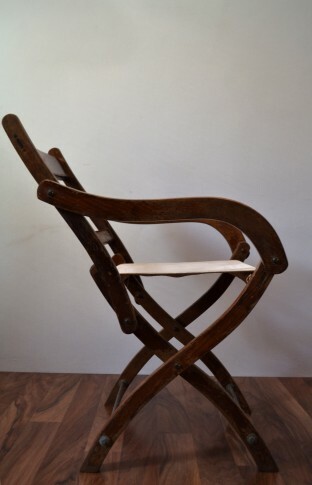 Would look great in any room or useful as an extra seat, as it can be folded down for extra space. 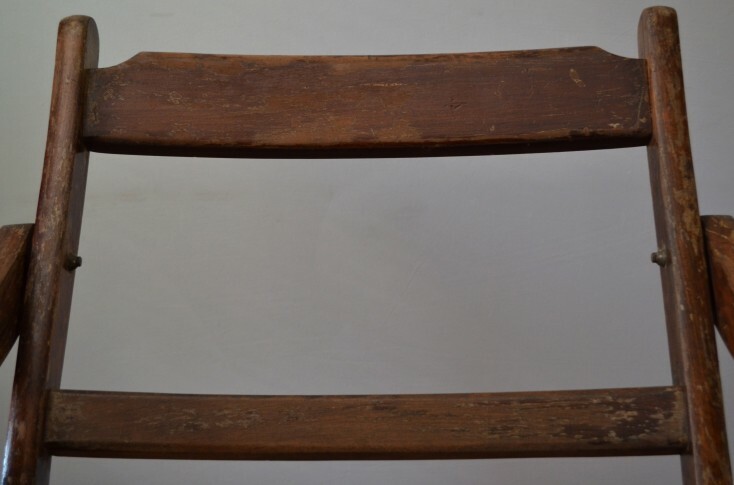 In a used and overall good condition, with signs of wear. 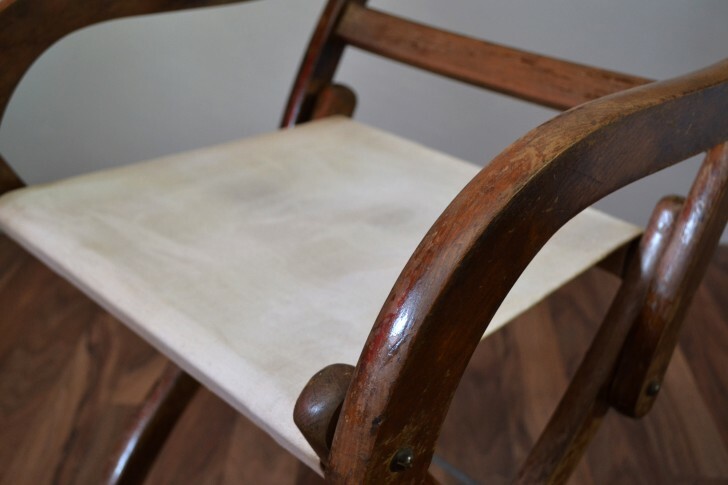 However the frame has been waxed to ensure protection and retain the current patina which we believe gives character.